Whether you’re sifting through a large mic closet, or planning a purchase, deciding on the “perfect” microphone can be a daunting task. 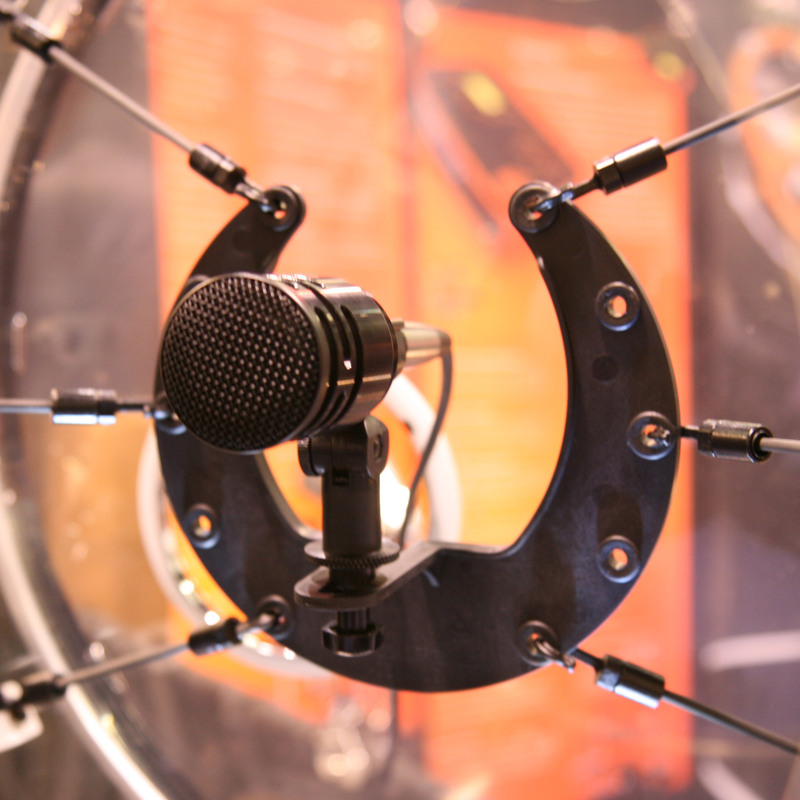 In this review we will be comparing over 20 dynamic microphone setups for kick drum purposes. Microphone requirements vary greatly for recording and live performance. You might want a polished sound out of the box, or you might prefer something uncolored, with the ability to fine tune in the mix. Musical genre can have a large influence on microphone selection. Metal and Jazz, for example, have different aesthetics and can benefit from differing microphone selections. Environment and budget are also factors. Using a $500 mic at a local battle of the bands might not be an affordable option, or in the best interest of the microphone. With these examples you will hopefully walk away with a better tonal idea of what is available. The first four hits you hear in each example is the isolated kick drum microphone, followed by a few measures with additional overheads/room microphones. This will give you an idea of how the microphone responds to the source, as well as how it stands up in a mix context. Describing the sound of 20 microphones isn’t easy. Some build/quality issues and tonal characteristics are obvious, but one quickly starts measuring up the subtle differences. 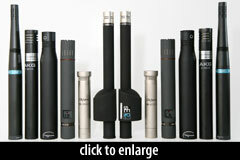 Each one of these microphones gets the job done, and some are tailored perfectly for kick drum duties. To help describe the tonal qualities, I’ll sort them all into four main categories: Boomy, Neutral, Punchy, or Hyped. As Eric notes below, some of these microphones are designed so that the XLR jack is at 90° to the mic’s axis of directivity. In other words, when you point the mic at the kick-drum beater, the cable points down towards the floor. This can make cable routing more difficult for this particular placement; it is easier when the cable exits from the rear of the microphone, straight out the hole in the resonant head. Neutral with some flattering enhancement. Full balanced response. One of my personal favorites in the group. Something about this microphone screamed quality. Quality metal enclosure, with a sharp look. Multipurpose microphone. Would work well on other sources. Boomy but not dull. Nice full low-end extension. Would do well in the club environment. Neutral. Clear present sound with wide response. Quality metal enclosure & mount. but with a fair amount of punch. Hyped. Punchy EQ’d sound out of the box. Punchy. Flattering but un-hyped sound. Boomy/Punchy. Full sound out of the box. Neutral. Present sound also a personal favorite of the group. Hyped! Scooped EQ/Compressed sound out of the box. Overly hyped for many genres. Boomy. Full sound with low-end extension & punch. Positioning can be a problem. Boomy. Full sound with low-end extension. Download the original WAV audio files here. See the session photos here. After having a chance to listen back to these microphones as a group, my personal collection will be seeing a shift in use, and most likely a new addition. Unexpectedly, the Heil Sound PR-40 jumped out at me with its upfront attack and presence without sounding artificial. You can really hear the intricacy of the drum. The PR40 seems to be an ideal dynamic to place near the batter head. For most recording situations, I use independent microphones for the batter and resonant heads. 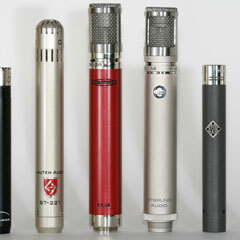 I can see myself adding a PR40 to my collection to be paired with a large-diaphragm condenser. The Avantone Pro MONDO also grabbed my attention. I would have no issue using this in a single mic situation over my go-to mics, the Shure Beta 52 or Sennheiser e602. Lastly, move over D6, we have a new “Metal kick drum king.” The Miktek PM11 takes the title for the scooped mid & hyped attack/sub frequencies sound. Next time you are running sound for your local “Death Metal for jesus” or “Underground Punk brought to you by Apple” festival, this is the mic of choice. Eric did a monstrous amount of work here — a day in the studio tracking 28 different kick drum mic configurations, plus photos, ‘darkroom’ time, video shooting and editing. It’s fantastic. (Thank you, Eric!) Visit Eric online at RhythmInMind.net. If this review was helpful to you, please leave a comment to tell us what mic you picked, and how it is working for you. Thanks also to all the vendors who sent gear for this evaluation: AKG (via Definition Branding), Audio-Technica US, Avantone Pro, Heil Sound, Lewitt Audio (via TruNorth Music), Miktek, and Shure. Microphones from Audix, Electro-Voice, and Sennheiser were the personal property of either Eric or myself. None of the vendors here provided compensation for this review. Note that two Beyerdynamic microphones were lost by FedEx, and we regret not being able to include them here; thanks and apologies to American Music and Sound for their efforts. Finally, if you’re hungry for more kick-drum mic madness, check out the Home Recording Show podcast’s kick-drum shootout. 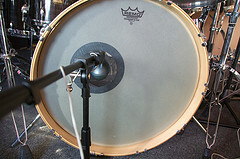 Or if you’d like to hear $20,000 worth of drum overhead mics, visit the Prairie Sun Drum Overhead Mic Shootout. It puts the RE-421 in front of the bass drum. It turns up the gain. It is happy. I see you ppl as a very organized bunch – and yet you do NOT describe the beater being used for this demo? Is it felt, wood, plastic, etc….? Simply amazing! Great work and the idea of giving the recorded audio at first without the microphone name is really cool! Really appreciate your work!! !